Atrial septal defect (ASD) was the first cardiac malformation to be successfully treated surgically using the mechanical pump oxygenator. Following Gibbon’s pioneering report,14 surgical risk for closure of most defects became minimal and has been near 0% for the past three decades. 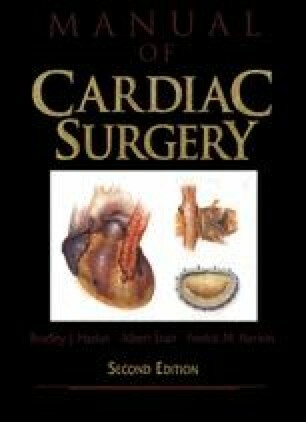 Indications for surgery and surgical techniques for the three main types of defects—sinus venosus, ostium secundum, and ostium primum—are straightforward and widely accepted.